2016 marks the 40th year that Claremont McKenna College became coeducational. When the announcement was first made, the response was ambivalent. The Claremont Collegian, the Claremont Men’s College student newspaper, reported, “According to sources present at the picnic, the reaction was mixed with scattered cheers and boos. Most students however, took the news unemotionally.” The CMC Board of Trustees began having discussions to change the school into a coeducational institution three years before it was realized, admitting that they were following the trends of other schools. In 1975, two-thirds of the Board agreed upon admitting female students to the school. Jack Stark ’57, president of CMC from 1970 to 1999, explained that there were two options considered when CMC decided to become coeducational: have the school start admitting female students, or combine the institutions of Scripps College for Women and Claremont Men’s College. Scripps quickly refused. 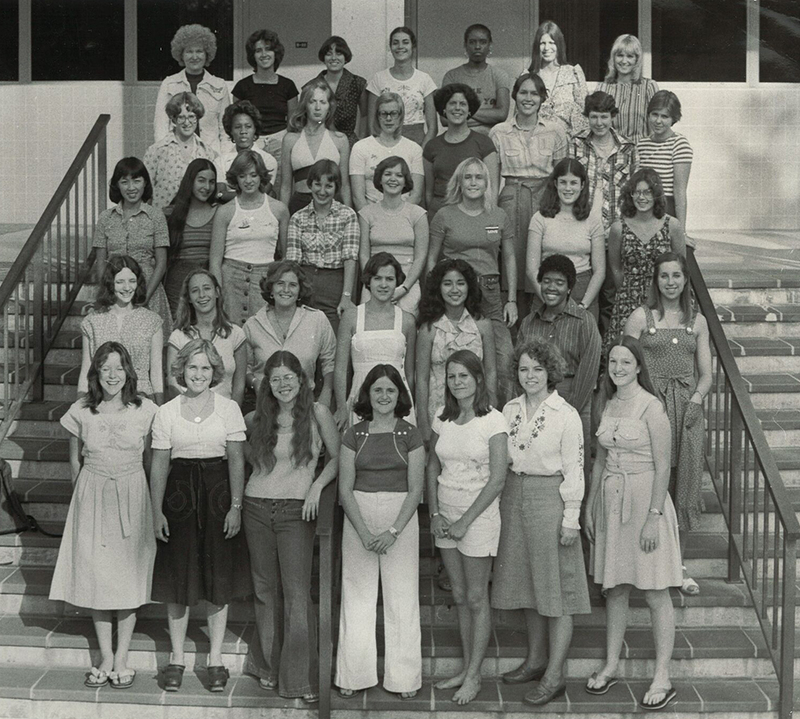 The first class of women students comprised of 25–30 percent of the total class population of CMC and first started attending CMC for the 1976-1979 academic year. President Stark was an advocate for the decision for the school to become coeducational and to change the name from Claremont Men’s College to Claremont McKenna College, in honor of one of the founders and trustees of the College, Donald C. McKenna. In contrast, the president of the CMC Alumni Association at the time, John Poer ’55, stated, “There’s plenty of social life, plenty of women around… it’s not a confined men’s college,” likely referring to the fact that the all-women’s Scripps College was across the street. It is apparent, however, that John Poer and others in opposition were in the minority. It seemed that it was time for CMC to follow the trend of other men’s colleges across the country and become coeducational. Current women at CMC seem to have some similar reflections about the environment. After interviewing five women who are currently sophomores at CMC, some reflections pervaded the interviews. The women stated that CMC is a welcoming place, yet the masculine environment is still prevalent on campus. An especially discomforting problem for current women at CMC seemed to be the relatively small number of women in leadership positions, primarily illustrated by a lack of female professors. CMC has undergone a great deal of change in the 40 years since it became coeducational, and its unique history is still reflected in the school today. This 40th year anniversary is an opportunity to learn where the school has come from and to think about the steps that still need to be taken towards improvement. Check out Editor-in-Chief Haley Goodman’s article, “Women at CMC Over the Years,” for an in-depth look at what being a woman at CMC means. *A previous version of this article misidentifies Wenona Strafford as Brereton Strafford. We regret the error.